Marsha has paper pieced the umbrella. 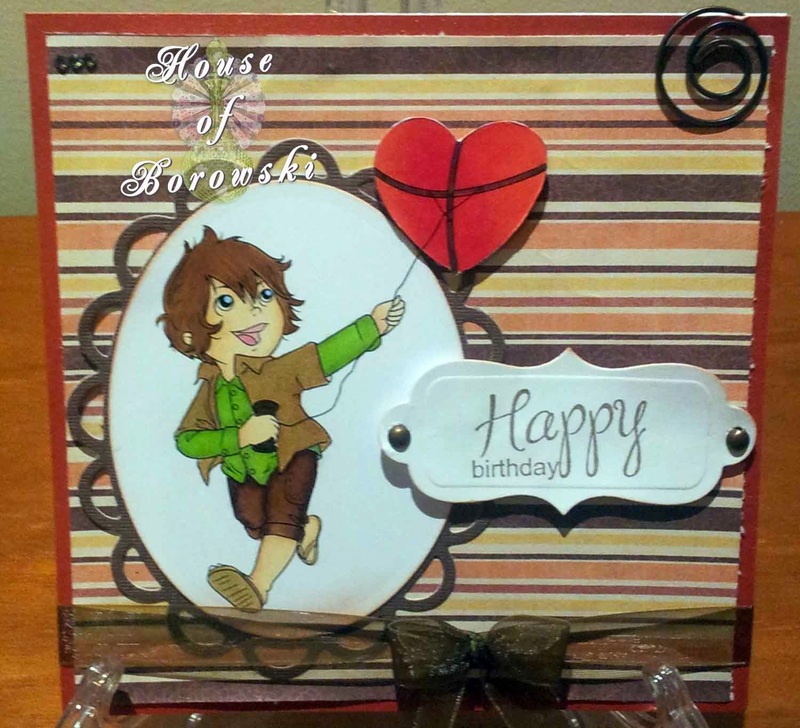 Three layers were cut with Spellbinder and Cuttlebug. Glued all three layers onto a folded piece of card stock which has the sentiment. 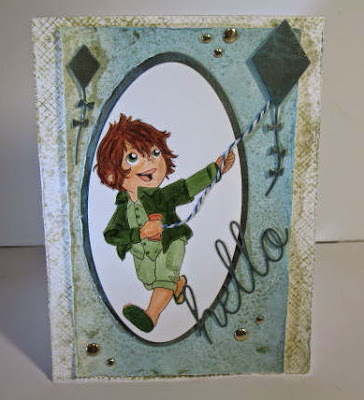 Do hop over to her blog to see how she made her cards. We have a new Diva in the house.... Please welcome Michelle. Here she is to tell us a bit about herself. I live in Central Point, Oregon, USA. I've been married to the love of my life Bill for the past 20 years. I'm also retired from a local high school where I was a Campus Monitor (fancy name for "babysitter") for over 20 years. My husband and I have owned beagles as long as we've been together, so they are my fur children. I got started with Creative Memories probably 10 or 15 years ago to scrapbook my husbands sprint car racing. I still haven't got all of the memorabilia into the albums! Then about 3-4 years ago I wanted to use up my scraps from scrapbooking and I started making cards to sell as a fund-raiser for Sparrow clubs (a school based fundraiser to help children and families with cancer)-it all snowballed from there! I love to make cards. Now my friends and family get disappointed if they receive a "store bought" card! It's also one of my favorite gifts to give-a dozen cards of various themes (Thank You, Wedding, Sympathy, etc) in a gorgeous reusable box. And I still scrapbook and make home décor items. 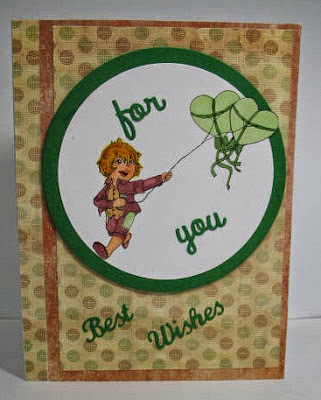 I love my Cuttlebug and Cricut, and figuring out how to embellish cards. I actually try to rotate different embellishments so all my cards don't look the same. 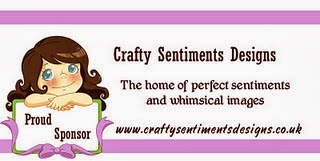 I use ribbon, brads, twines, buttons, flowers, machine stitching, pop dots, burlap, etc! My blog doesn't show it all, because it seems if I make some really great cards, I need a dozen for a gift! 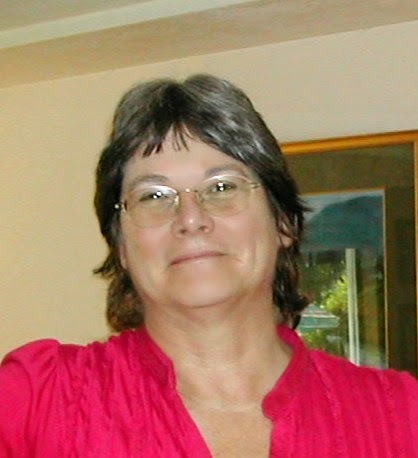 Spare time….I sew, read, upholstery, and refurbish furniture. I work on our classic car collection-not turning a wrench, usually tracking down parts & pieces! I've just started autocrossing and love it! I will recover the seats if I have to. I even help a friend show her Murray Gray Cattle at various fairs and speciality shows. I don't think I sit around bored-there's always something to create! And here are a couple of examples of Michelle's wonderful work. 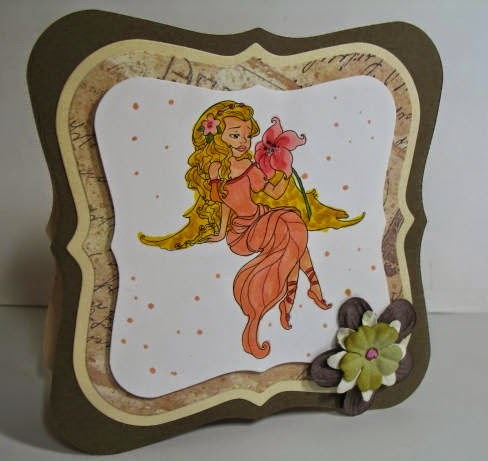 And you can see more of her fabulous work on her blog - Just aNutter Paper Crafter. Looking forward to seeing more of her beautiful work in the future... you will be impressed. I'll be back later in the week to show you some more of Toby. 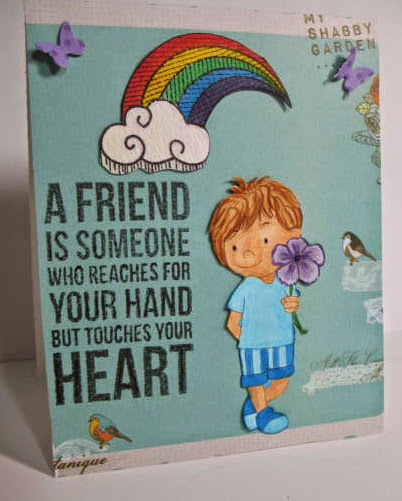 Sharing a card by Marsha today. This young man has a beautiful flower - a final one as the leaves are starting to fall. I've used one of our sponsors lovely images today to make an autumn card. I used Mia (available here). 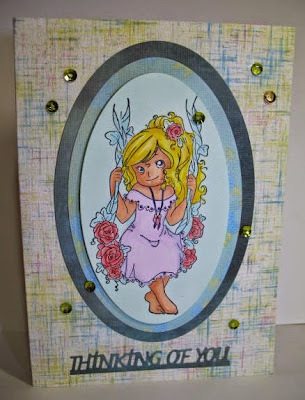 I coloured her with Copics and cut with a Spellbinders oval die. I used some techniques I learnt in the latest Online Card Classes - clouds in the background and the grass. My background was fun to make. I used some heavy kraft paper and embossed it. I then took a Kaleidacolor inkpad called Autumn colours and using a brayer coloured up the embossing and the background. I then used the same ink to colour another piece of paper and stamped a leaf from a Winnie & Walter stamp and fussy cut the leaves. 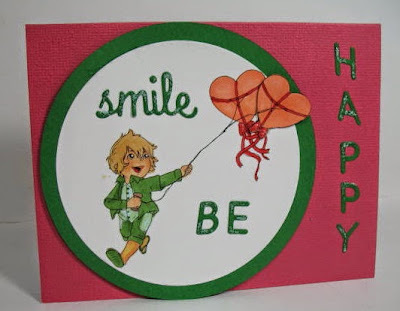 The sentiment is from the same Winnie & Walter set and is stamped in a speech bubble die cut from Penny Black. Thanks for stopping by. Please join us with your Autumn or Spring projects. I really like this larger rendition of Scilia Fairy because I enjoyed coloring larger quantities of hair and dress. I added some Memory Box die-cut blooming fuchsia and Circle Border. 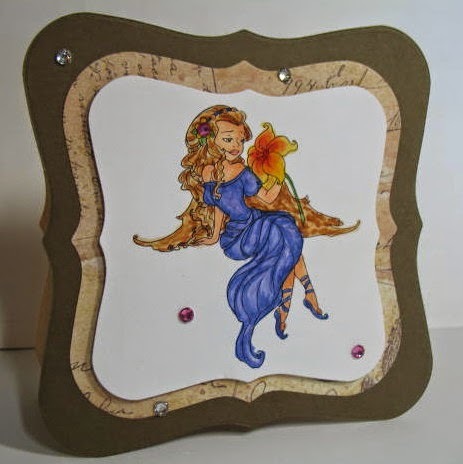 Crafty Sentiments Designs is sponsoring Die Cut Divas this month, so hop on over and join the fun. 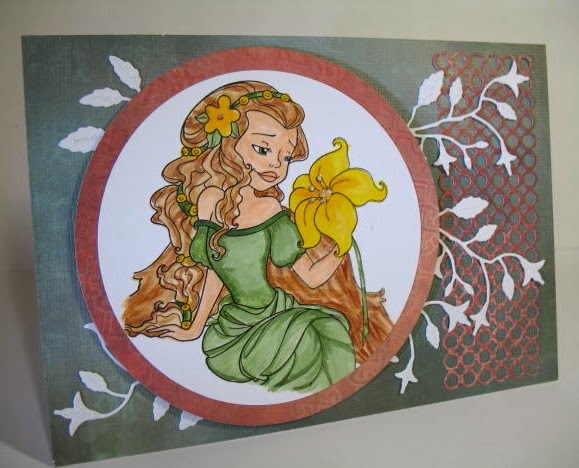 The large yellow flower the fairy is holding and the Yellow Green tones on her dress just make me think of Autumn.I obviously love this digital girl because I couldn't make just one card. I think the wonderful red tones in this image remind me of the beginning of spring with everything so fresh and bright. What a lovely image. Because of the yellow on the edges of the flower and the darkness of the dress and slipper color, I feel Scilia Fairy represents fall. She is so versatile. 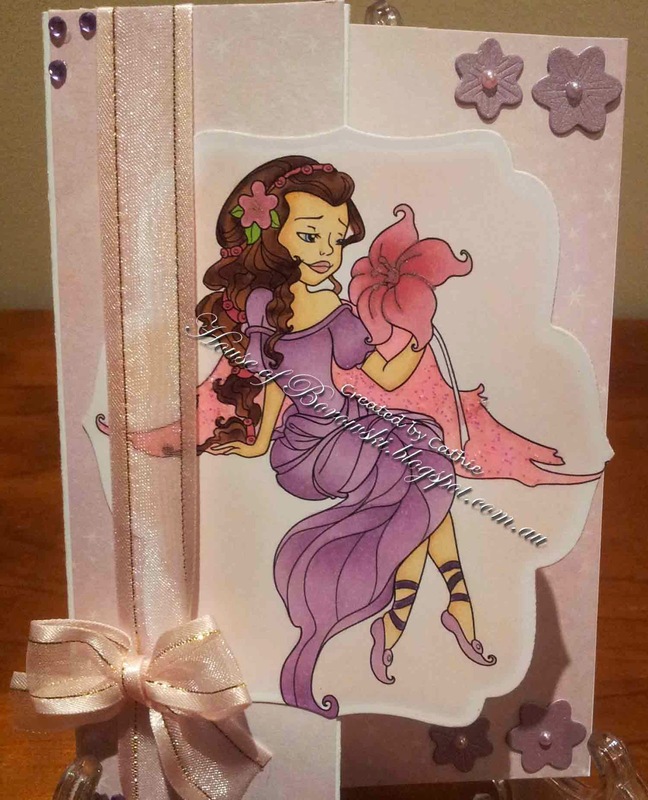 Thanks Arlene for sharing all these pretty cards. I must say I appreciate random.org there is no way I could pick a favorite among 60 entries. Please email us at the dcdivas@gmail.com to claim your prize. Hi crafters. Dawn here to set you a new Challenge for October. As you know a number of the design team here are from the Southern Hemisphere so I chose a theme of "Change of Seasons" - Autumn if you're in the Northern Hemisphere or Spring if you're in the Southern Hemisphere.... or which ever takes your fancy. Remember you must at least use one die cut or embossing folder and while we're at it remember all cards/projects must be "new" and dated after the first October. I have used Nature Watching choosing spring colours. 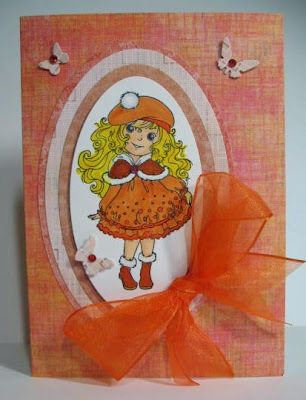 Arlene has taken a Christmas Dress and made it into an Autumn card with the gorgeous Autumn colours. 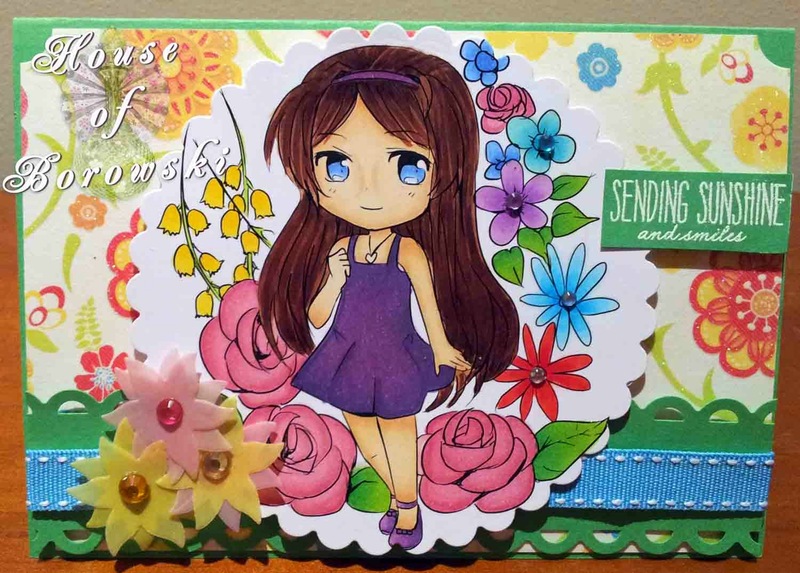 Cathie has used Tess Summer Fun and made a card with spring colours at every turn. Do come and join us with your Autumn or Spring projects.